As I have mentioned before I am going to start a little twisted plot in my postings. Hubby and I have been walking around the hood for almost a couple of years now. We refer to ourselves as Mr. and Mrs. Kravitz. Do you remember Gladys Kravitz from the television series Bewitched? She was the woman that was always pecking between the shades to see what the neighbors were doing. Well as you can imagine we have seen some things that the neighbors probably never intended us to see. I swear we weren’t snooping just happened to be in the right place at the right time. Anyway as soon as I come up with some aliases I am going to tell you a little about the adventures we have witnessed and even more interesting is how our imaginations have traveled. Well spring is just around the corner and with it comes natures bounty. Tons of fresh fruits and vegetables. I love the change of seasons. It brings some many great options for meal planning and I love the fact that we have seasonal dishes. 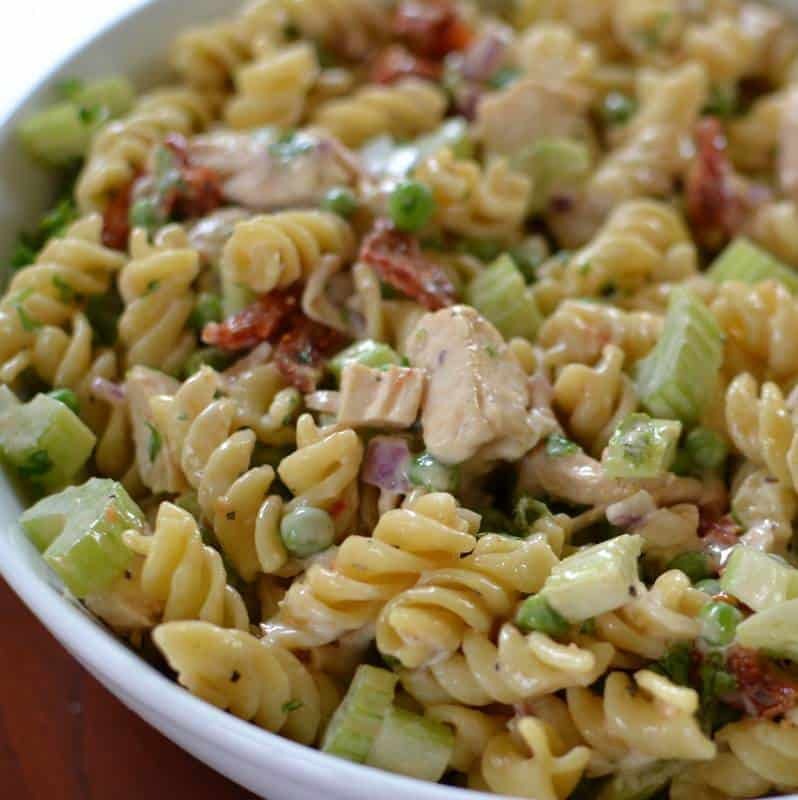 This Easy Chicken Caesar Pasta Salad is a perfect spring or summer dish. 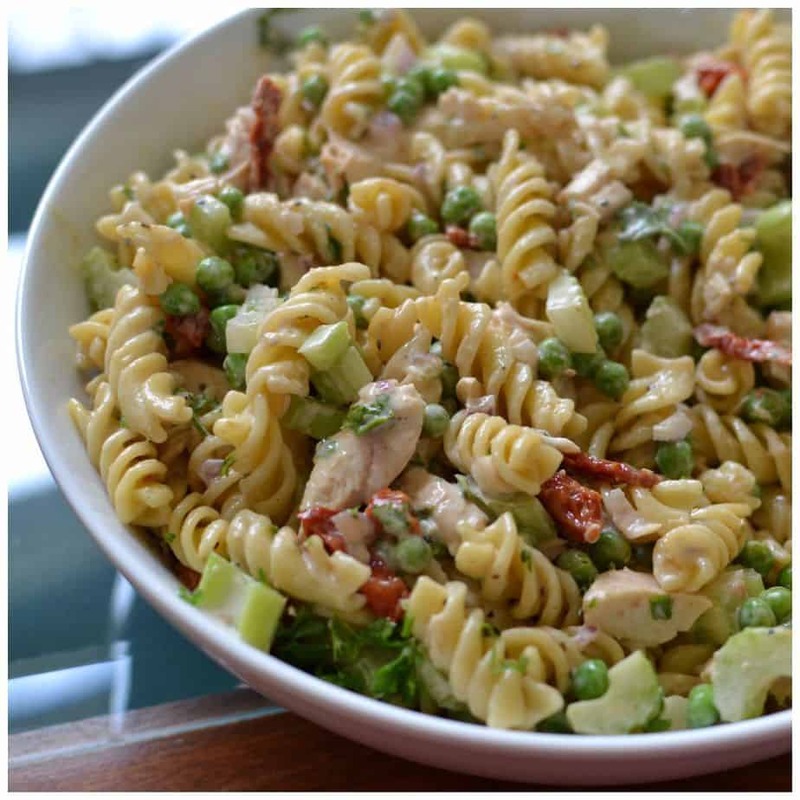 It combines Rotini pasta, sun dried tomatoes, celery, peas, chicken and Caesar dressing. It makes convenient use of rotisserie chicken and your favorite bottled Caesar dressing. This pasta salad is a meal in itself. It is perfect for a quick evening dinner or a weekend lunch. You can serve with ice cold Fresh Peach Tea. Not quite filling enough? You can serve with a light soup like my Creamy Asparagus Potato Soup or my Creamy Cheddar Soup with Bacon and Croutons. This salad can be prepped in a matter of minutes leaving more of the evening for you to enjoy! 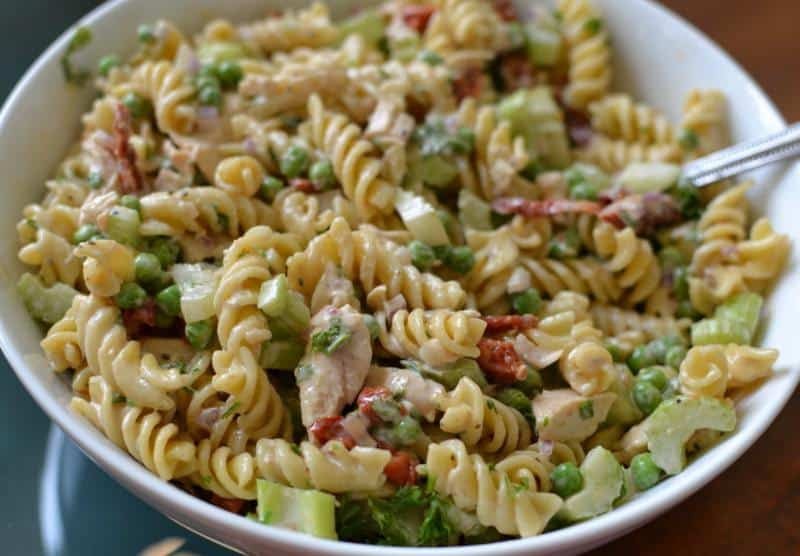 So stay tuned down the line for the antics and wild imagination of two middle aged walking fools known as Mr. and Mrs. Kravitz and for goodness sake try my Easy Chicken Caesar Pasta Salad. You will love it!! Cook pasta according to box instructions. Drain well. 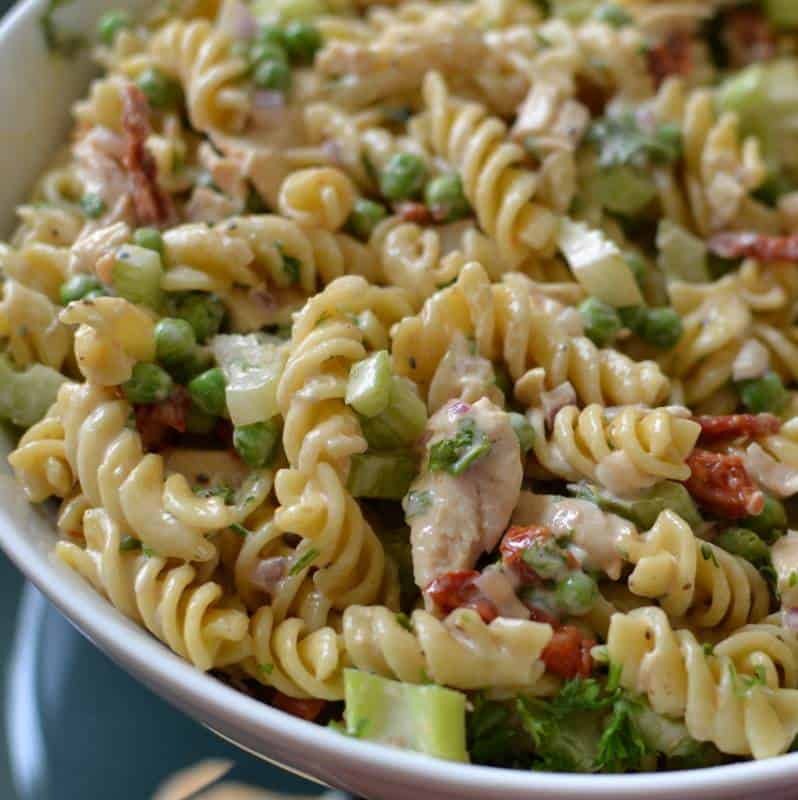 In large bowl combine pasta, sun dried tomatoes, baby peas, celery, onion, Caesar dressing, chicken and 2 tablespoons parsley. Stir to combine. Sprinkle with remaining parsley.